All priced quoted include GST and freight. Upon receipt of your order, the worms are packed fresh in vermicompost, and despatched within 7 days. They are posted to your address and should arrive withing 10 days. The worms will be happy in their packaging for a period of up to 3 weeks, provided they are kept out of direct light and away from heat sources. The sooner you can settle them into their new home the better. Please read the instructions provided. 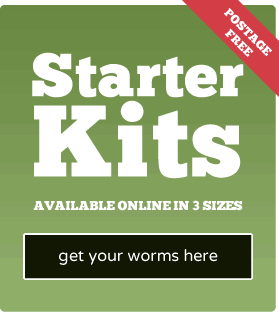 If you have any questions about your worms go to our Worm Facts page first or look at the FAQ page.